River Heights Physiotherapy's co-owner, Mandy Connell, once again volunteered her time at Ecole Robert H. Smith School's annual Communty Breakfast Fundraiser. 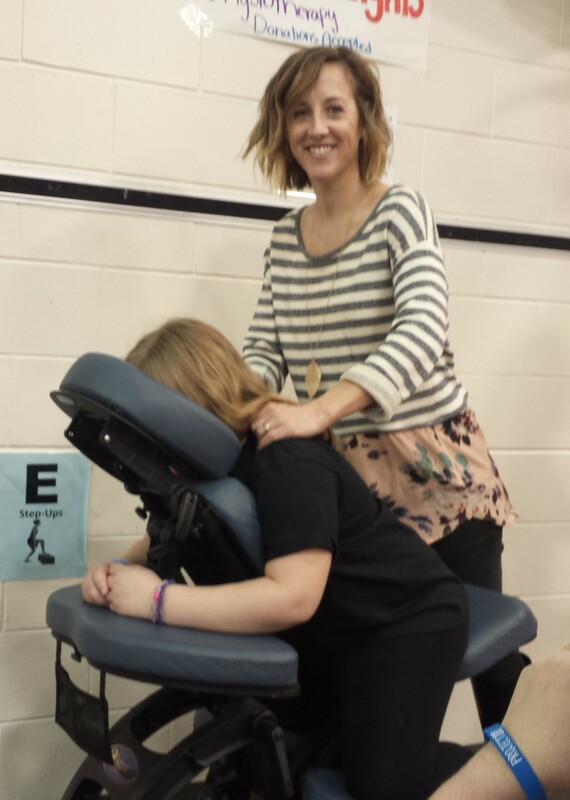 Mandy provided massages for donations to support the school's charity of choice, Mental Health Awareness. Other local businesses provided food, drinks, hair styling and manicures. Local media was on hand to broadcast this truly amazing event full of fun, food, entertainment and community spirit! Well done staff, volunteers, and students at Robert H. Smith.